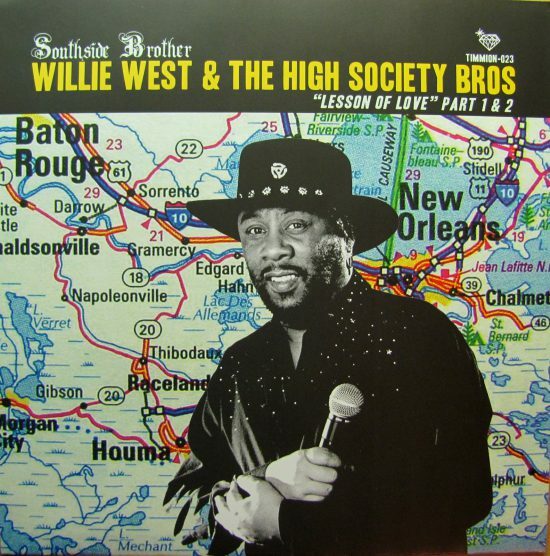 From the far-flung coastal towns along Bayou Lafourche to the musical boiling point of New Orleans, Willie West is an unsung hero of South Louisiana rhythm and blues if there ever was one. His earliest sides on the Rustone label, such as the smoking dance floor favorite “Willie Knows How” and the eternal swamp pop hit “It’s No Use To Try,” are just the beginning of a career that found him recording with Allen Toussaint, singing in Deacon John’s legendary Electric Soul Train and cutting the wistful funk classic “Fair Child” with the Meters, for whom he was also a vocalist. When soul music was at its absolute mid-‘60s hottest, Willie West set stages ablaze all across the South and beyond. His high-energy opening sets for some of the biggest names in the business forced them to work a whole lot harder than usual when they followed him onstage. “Otis Redding, Big Joe Turner, Eddie Floyd, all these people, I worked on shows with these people through my agency. Percy Stovall used to book me. And we opened shows for these people. I’d come out onstage before these people, and I’d put some fire on ‘em,” says the longtime New Orleans R&B singer, who now lives in St. Cloud, Minnesota. “Stovall used to love it. He used to sit back and just laugh, saying, ‘Watch West go get ‘em!’ I’d run out on the stage, spin around and do a split, come up and grab that mic and start singing! No longer an opening act, West will be one of the many stars gracing this year’s Ponderosa Stomp—and that desire to take the house still burns brightly within. Born in Raceland, Louisiana (located a little over 40 miles southwest of the Crescent City), Millard Leon West grew up idolizing some very bluesy performers. “People like Elmore James and B.B. King and Howlin’ Wolf, these kind of guys,” he remembers. Raceland had its own club scene, and Willie put together his own band, the Sharks, to join in the fun. “I started singing when I was about 15 years old,” he says. West’s cousin, David Douglas, was on guitar, and Leroy Hadley manned the drums. “Leroy Hadley was a school friend of ours,” says Willie. “Leroy was playing drums in that period. Then he switched over and started to play guitar. But he never played guitar with me.” Hadley would subsequently spend a long stretch as Joe Tex’s featured guitarist. 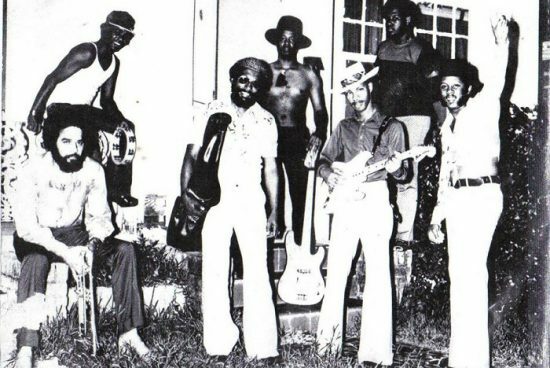 The band graduated up to working at Hosea Hill’s Sugar Bowl in Thibodaux, located 15 miles from Raceland, where the spectacular Guitar Slim and James “Thunderbird” Davis regularly held court. “Oh, man, Guitar Slim was really an exciting, colorful guy,” says West. “That was a club that used to bring all the big acts in that period, in ‘58, ‘59. They used to bring people like Shirley & Lee, Ray Charles, Sam Cooke, Chuck Willis. “I met Sam Cooke in the early days at Hosea Hill’s. I met Ray Charles at Hosea Hill’s. Guitar Slim. These are people that I met when I was a real young kid. In those times, when you went to a club, we couldn’t actually go in that club until we got a certain age. Well, we used to go there, but the law didn’t give us much problem. But our people didn’t want us hanging in the clubs. But I used to go there. I used to peek through the window and see Guitar Slim playing.” Pretty soon, Willie and the Sharks were gigging there too. 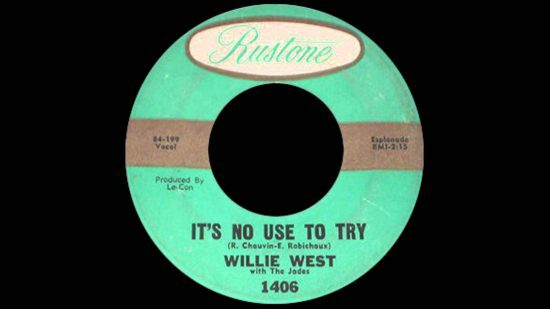 In 1960, West made his first record for Dorothy Lee’s Rustone label out of Houma, Louisiana. “She had heard about the little singer in Raceland, and they came to Raceland and was looking for me, and they found me,” says Willie. “Then she wanted to hear me sing.” Lee liked what she heard, inviting West and the Sharks to Cosimo Matassa’s recording studio to cut the delightful swamp-laden blues ballad “You Stole My Heart.” The atmospheric rhumba-tinged “Sweet Little Girl,” with Douglas’ slashing guitar prominent, adorned the flip. Rustone issued the single as by Little Willie West, adding Lee’s name to that of Willie as authors of both sides. The “Little” appendage was dropped for Willie’s Rustone encore “Did You Have Fun,” which made a considerably bigger impact on the regional scene during the autumn of 1960. 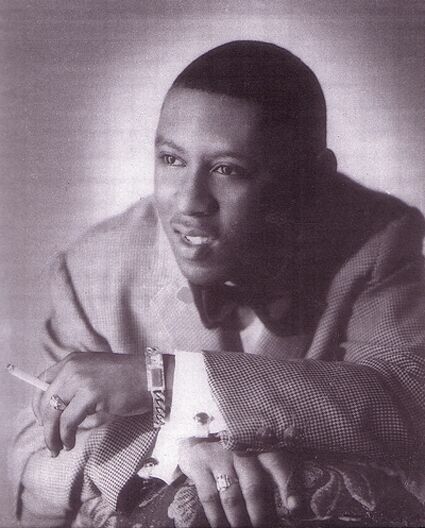 The prototypical south Louisiana R&B ballad was another West creation, Lee’s co-writing credit notwithstanding. “I wrote the song,” he says. “Me and my cousin, he played the guitar.” This time, people took notice. “‘Did You Have Fun’ got a little more play than the other one,” says West. “‘Did You Have Fun’ was a local hit around that area—New Orleans and Baton Rouge, Lake Charles, Houston.” Sporting the Little Richard-styled shouter “A Man Like Me” as its romping B-side, “Did You Have Fun” was picked up by Chicago’s Checker Records for national consumption, although it appears Checker never quite got around to actually pressing it up. Willie and Rustone tried a slightly different tack for his third release in March of ‘61. When the young singer wrapped his pipes around “It’s No Use To Try,” its backing was provided by labelmates Emmet & the Jades, a white band that also supplied the gorgeous ballad. “That’s a beautiful song, man,” says Willie. “The Jades only played on that one song.” Lee allowed West to keep all the writer’s credit on the opposite side, the intriguingly titled “Willie Knows How,” which credited Raymond & the Kings as his band and boasted an extended dramatic opening before busting into a sawing, horn-leavened minor-key groove. Frisco immediately followed it up with the other two masters done that day, the raucous rocker “You Told Me,” driven by George French’s bass and David Lee, Jr.’s second-line drums, and a blues-drenched “I Need Your Love (Baby).” Jones was down as composer of all four numbers, but Willie says he was actually responsible for several. “Porgy put his name on ‘em,” he claims. 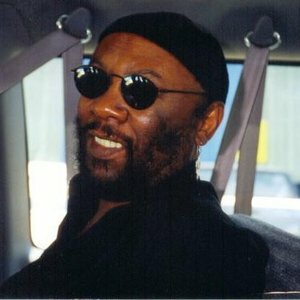 Al Reed, composer of “Kiss Tomorrow Goodbye” and a recording artist in his own right whose discography as a vocalist stretched back to a 1955 session for Imperial, brought Willie a pair of smoldering blues ballads, “Don’t Be Ashamed To Cry” and “Am I The Fool,” for his last Frisco offering. “I knew Al Reed,” says West. “He asked me, ‘Man, would you please sing some of my songs?’ I said, ‘Yeah!’ So I listened to the songs that he had. ‘Am I The Fool,’ he had some good stuff. I just picked those few and we went to the studio and I did ‘em.” Arranging the horn-leavened orchestra was the estimable Wardell Quezergue. “Wardell did the arrangements on a lot of that Frisco stuff,” says Willie. “He was in there directing the horns.” Frisco resurrected the singer’s Lil Willie West handle for the single, but it didn’t increase the sales tally. Even if his singles weren’t denting the soul charts, West had plenty of work on the road. “I (did) a lot of opening (for) Otis Redding, through all those National Guard Armories in Pensacola, Mobile, Houston, different places. Lafayette, Louisiana, all these different little places we played,” he says. “I’d come out before him and set fire on the stage.” The Big O wasn’t the only one to step up his game around Little Willie. “Solomon Burke used to get a lot of house, but I was competition for him. But he’d get over. They all would get over, but they knew they had a badass vocalist up front before they’d come on. 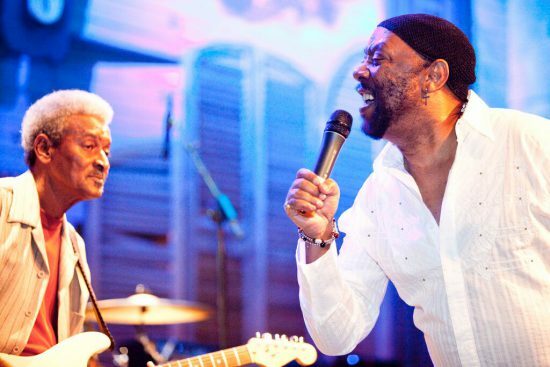 “Eddie Floyd, William Bell, I worked with Joe Turner, Pigmeat Markham, Etta James,” he says. “When Stovall was booking, he booked all these people—Mary Wells, Garnet Mimms. This guy, ‘Jealous Kind Of Fella,’ Garland Green. I used to put pain on all of them guys. “Throughout the South, we played a lot of the black clubs–the Peacock in Atlanta, the Branch Inn in Slidell. I remember headlining a show from my record in New Orleans. I was headlining the show in Slidell with Freddie King, Jimmy Reed, and Guitar Lee.” By then, Willie was living in New Orleans, doing front work in the clubs with Deacon John and the Ivories, Oliver (Cornin) and the Rockets, and Edgar Blanchard and the Gondoliers. Pianist/arranger/composer extraordinaire Allen Toussaint and his business partner Marshall Sehorn had the hottest production setup in the Crescent City during the mid-‘60s, knocking out hit after hit for Lee Dorsey while also heading their Sansu and Deesu labels. Naturally, Willie gravitated where the hits were happening. “Really soft-spoken. Really a nice guy,” says West of the keyboard genius. “I loved him like a brother, man. He was just really, really cool.” Surprisingly, Willie laid down his vocals for his first 1967 single on Deesu, pairing the yearning ballad “Greatest Love” and a happy up-tempo “Hello Mama” (both Toussaint compositions had previously been waxed by Dorsey for Amy Records), a long way from home. There was time for one more West release before the implosion of Matassa’s Dover distributing setup wiped out Deesu and a great many more small New Orleans indie labels. Both sides were brainstormed by Toussaint and both were ballads, “Baby, Baby I Love You” again bringing out the best in Willie’s pipes. 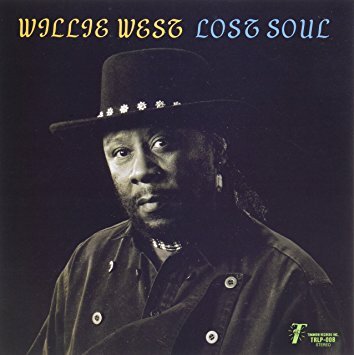 “He wrote ‘Baby, Baby I Love You’ for Willie West,” the singer emphasizes. Toussaint sculpted “Face The Music,” the other side, to be reminiscent of West’s occasional touring partner. Half of the Meters—bassist George Porter, Jr. and drummer Joseph “Zigaboo” Modeliste–powered “Fairchild,” along with an organist that was likely either Art Neville or Toussaint himself. As for the prominent acoustic guitar? “I think Allen Toussaint was playing that acoustic guitar on that,” says Willie. “He used to play guitar too, you know.” Allen also brought the pounding flip side, “I Sleep With The Blues,” to the session (acoustic guitar was again the primary lead instrument, subtle organ abetting West’s soul-steeped vocal). Viewers of the 1974 blaxploitation movie Black Samson were unwittingly treated to Willie’s vocal on the main title theme to the Toussaint-scribed soundtrack, which inexplicably never saw light of day on vinyl. 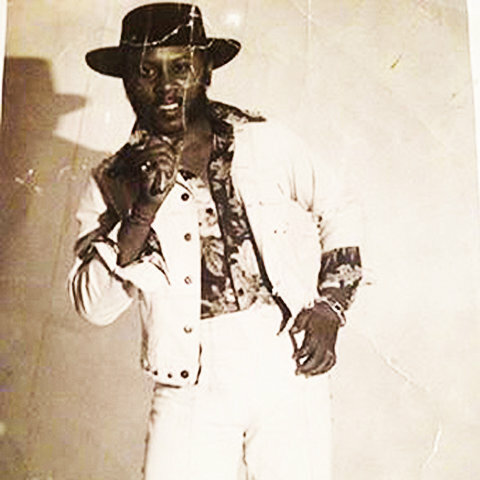 But West’s name was front and center on the soul rocker “It’s Been So Long,” his self-penned ‘75 single for Warner Bros., another Toussaint production with full band including punchy horns. 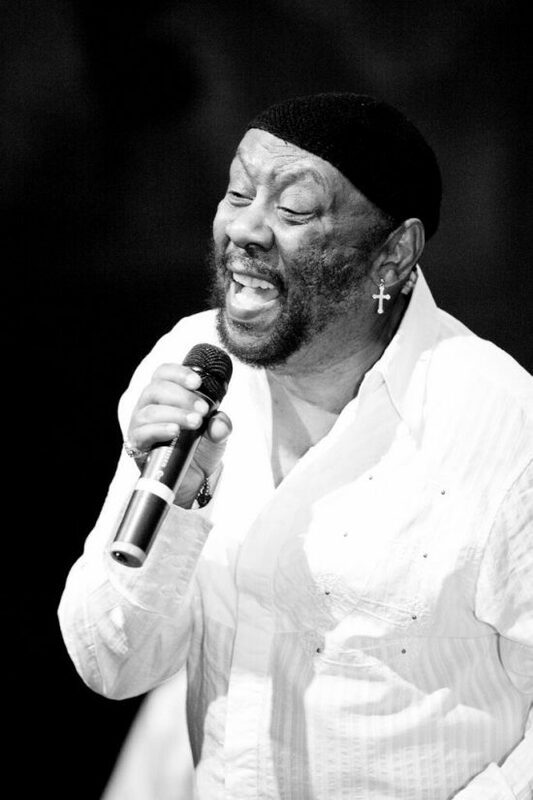 Willie became a Meter himself when Art and Cyril Neville left the group in 1977. “You remember when the Meters did Saturday Night Live? That’s when they quit. Cyril and Art left the Meters,” says West. “The Meters were trying to find a lead vocalist. But they couldn’t find me because I was doing some other stuff at the time, and when I found out that they were trying to get me to work with them, I think I talked to Zig, the drummer. And he said, ‘Man, we need a vocalist.’ I said, ‘Yeah, well I’d be interested,’ because I was in between gigging with different bands. So I went and connected with them and started rehearsing with them and doing their stuff. “George Porter voted me in, but he was reluctant. He voted me in reluctantly, because they didn’t like the idea of having a front singer up there that wasn’t playing an instrument. I used to be a high-energy singer that ran across the stage like Mick Jagger, whooping the audience. That’s the kind of performer I was at that point in my life. There was plenty of time to engage in a little songwriting as well, Willie teaming with Meters guitarist Leo Nocentelli to scribe “I Got The Blues.” “Albert King was down recording at Allen Toussaint’s studio, and he said he wanted some songs. So Leo was around there trying to sell stuff, and he couldn’t get nothing together. So he called me and said, ‘West, Albert King is at the studio. I need a song, man.’ I went to his apartment and we sat down at his kitchen table and put the tape recorder on, and I sung it. I said, ‘Play that! Play this kind of groove!’ And then we did, ‘I’ve got the blues, ‘cause my woman she has left.’ All those lyrics, I wrote ‘em.” Stretching over nine minutes in length, the anthem was a highlight of King’s 1978 LP New Orleans Heat. The Meters went their separate ways in the early ‘80s. “We even started to record an album, and we never finished it,” says West, who proceeded to spend a couple of decades entertaining on Bourbon Street. Shortly after Hurricane Katrina devastated New Orleans, Willie relocated to snowy St. Cloud. “After Katrina, we decided to sell our home and move up here,” he says. “My wife is from the area. She got a job up here.” West performs when he wants to at Bistro La Roux, a local restaurant that he unreservedly recommends. “People are coming from all over the area to go there and eat that good New Orleans cuisine,” he reports.